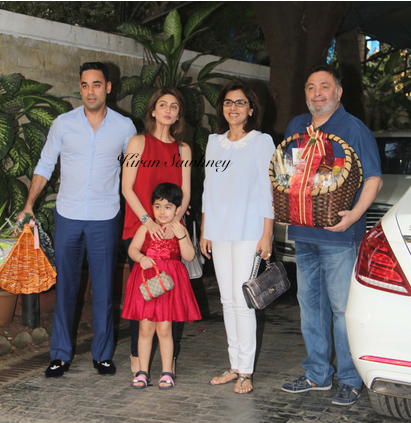 Yesterday we posted the Kapoor clan pictures of their Christmas lunch together. The entire Kapoor clan, along with their respective partners, gathered at the Kapoor bungalow, Krishna Raj, for a family day filled with food and fun. Ranbir, however, attended the do sans his girlfriend Katrina, who is yet to officially be a part of the prestigious and picky Kapoor clan. 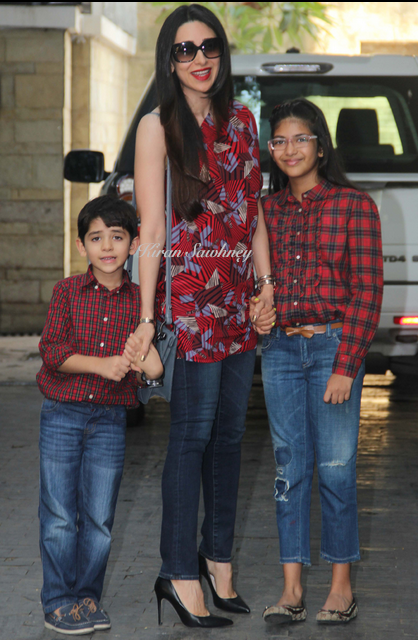 Karisma Kapoor came with her children Samiera and Kiaan Raj Kapoor. 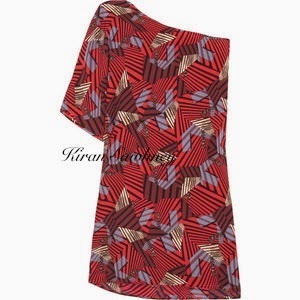 She wore a tucker one shoulder top with jeans and black pumps. Kareena came with Saif wearing black halter long dress. She wore Deme by Gabriella dress and carried a Chanel bag. Red lips added the finishing touches. Ranbir's sister Riddhima came with her husband, Bharat Sahni, and daughter Samara. They were joined by actor couple Rishi Kapoor and Neetu Singh. Riddhima paired her look with a Saint Laurent Classic Sac De Jour Handbag while Samara added an orange top handle Gucci one. 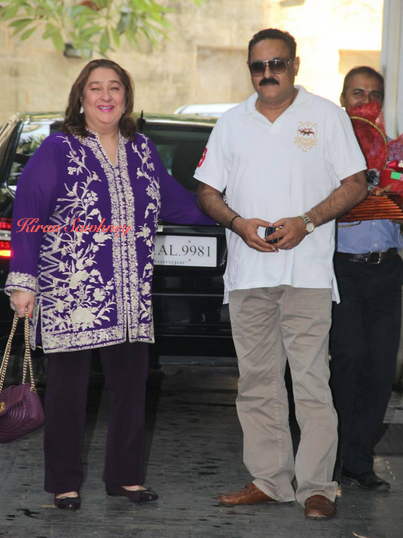 Rishi Kapoor's younger sister, Reema arrived with her husband Manoj Jain.